These Athenians have a long history of hardships that have prevented the band from releasing anything but a demo and a promo for over ten years. They play mid-paced traditional doom with majestic vocals fit for a power metal band. 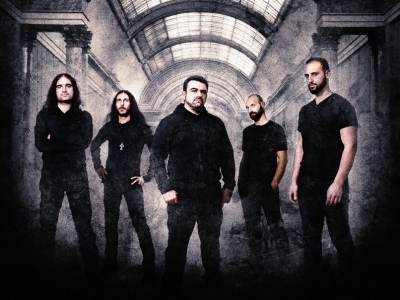 For fans of Solitude Aeturnus, who are listed among the bands influences. One of the bands two founders, bassist Takis Drakopoulos, died in 1995 from a brain disease. The band was on hold between 1998 and 2005 because of bandmembers doing military service and the bands second founder, guitarist Kostas Salomidis, was almost paralyzed by the aftereffect of a motorcycle accident.